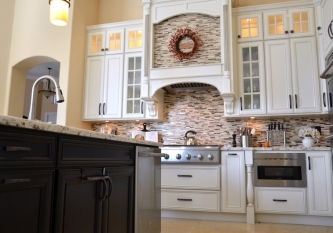 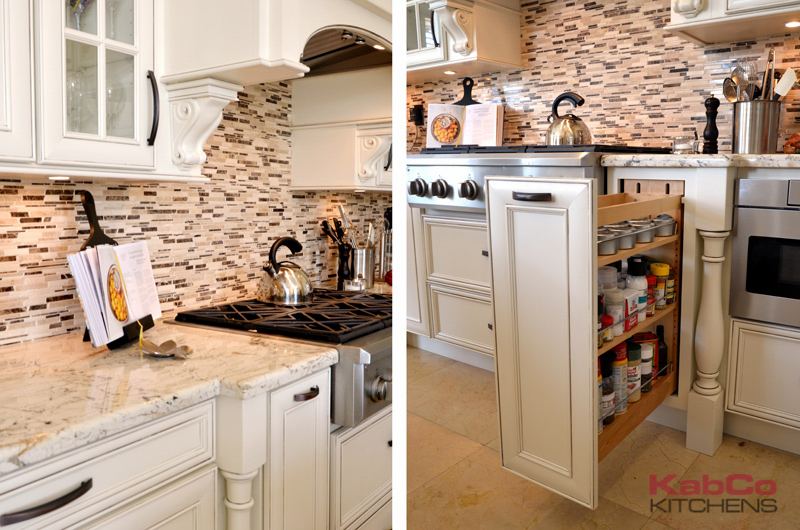 KabCo created a functional chef’s paradise using Showplace Wood Products and fine granite counters. 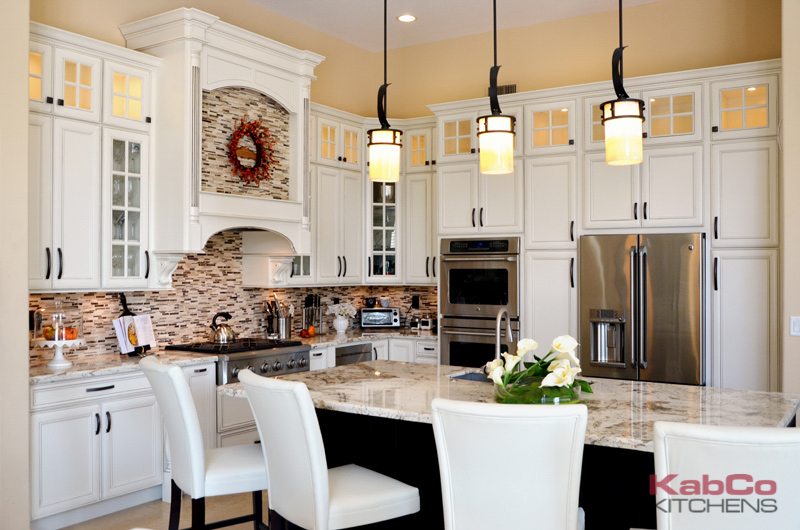 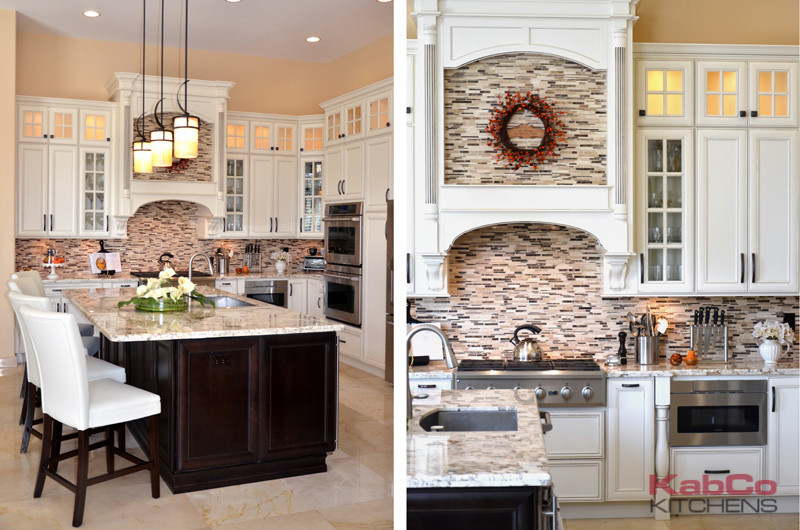 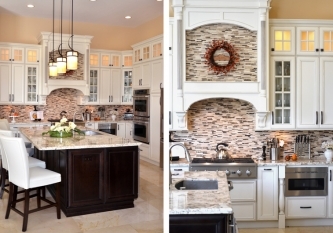 To create this look we stacked 18″ glass cabinets over 42″ wall cabinets. 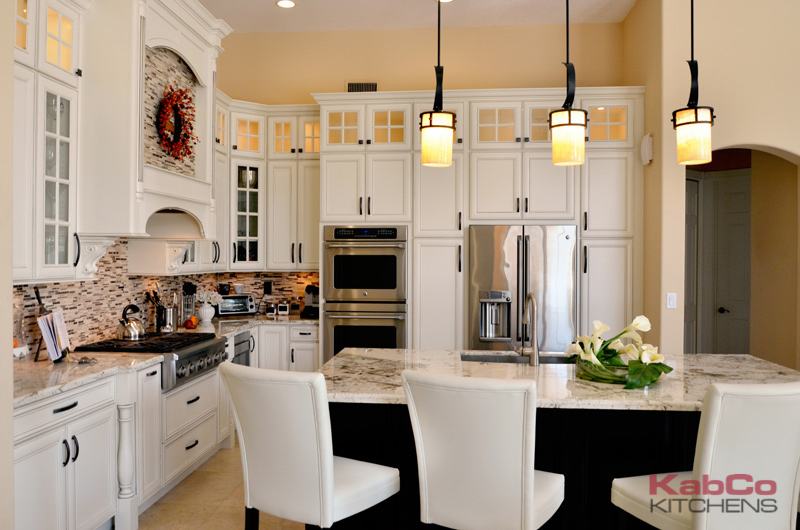 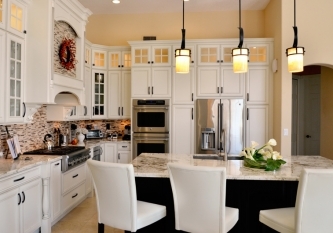 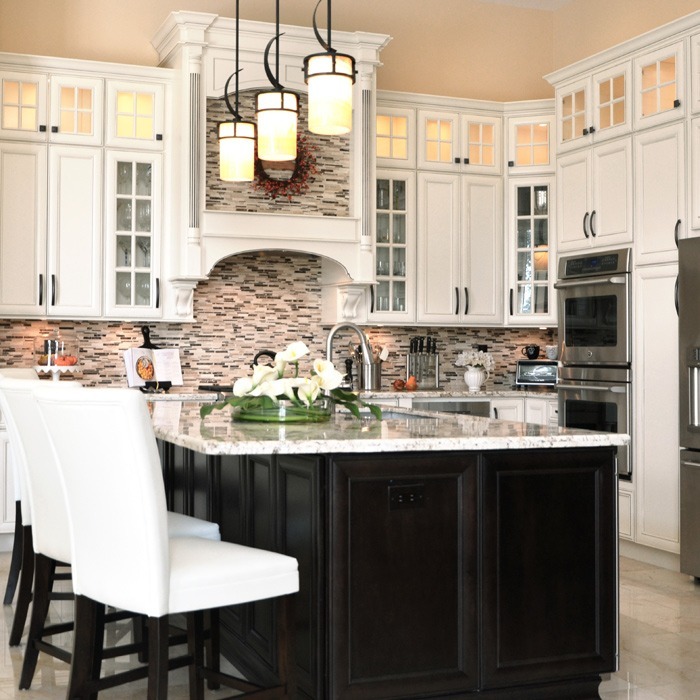 Maple Soft Cream cabinets were paired with Maple Espresso island cabinets anchoring this grand space. 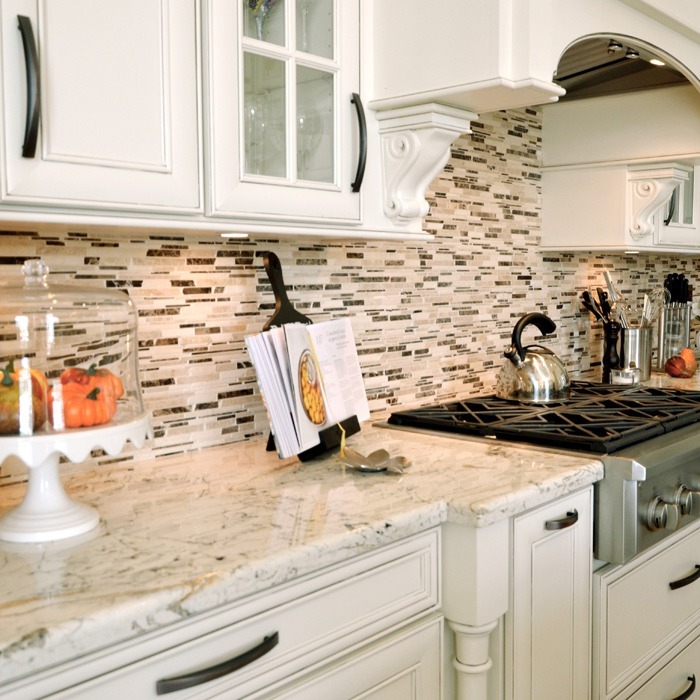 Alpinus granite counters and Crema Marfil tile backsplash were installed adding character and charm.